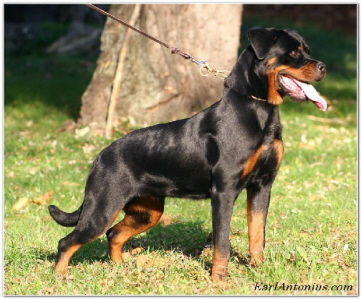 We imported Morena Von Hause Drobny to breed to our rottweiler stud, Tito Earl Antonius. 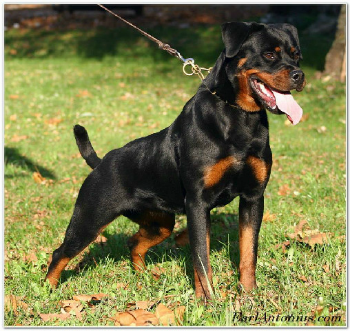 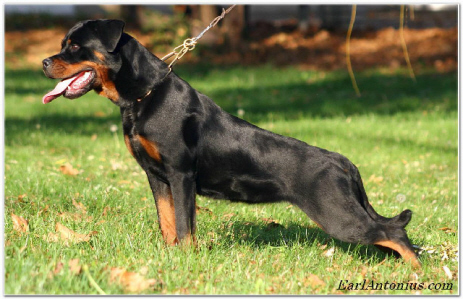 Morena, our rottweiler female, has strong solid temperment and very high confidence. 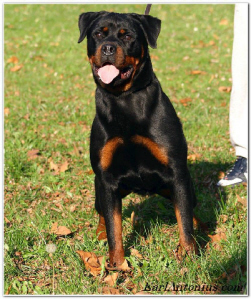 Morena Von Hause Drobny is also very drivey and should do very well in the show ring.